Greek yogurt for kids … that they want to eat? I’m in! I’m actually pretty lucky. My children LOVE greek yogurt. My eldest son actually prefers greek yogurt to regular yogurt. He always chooses the adult options over the kid versions we buy when searching for an afternoon snack once he comes home from school. But Caleb is a different bird. I have to work on him a bit since he is only two. For the last few months, he’s pushed away any sort of pouch I offered him. It used to be the PERFECT way to get in some extra calcium, fruit or veggies throughout the day. But he just decided he wasn’t interested anymore. This morning, I showed him the Chobani Mango + Spinach Greek Yogurt with Winnie the Pooh on the cover and he just fell in love. I didn’t waste a second and ripped the top right open. He devoured it! BLISS! 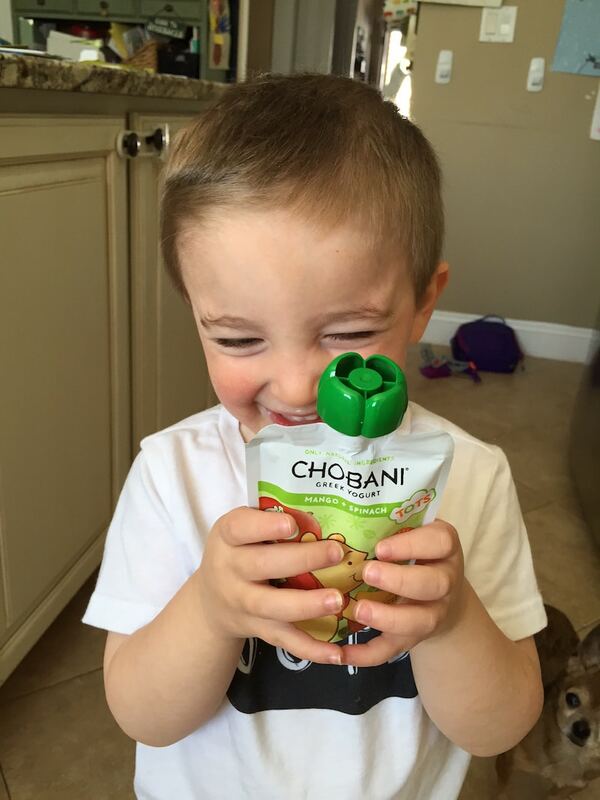 FINALLY – I can get him to eat yogurt again! And greek yogurt at that! 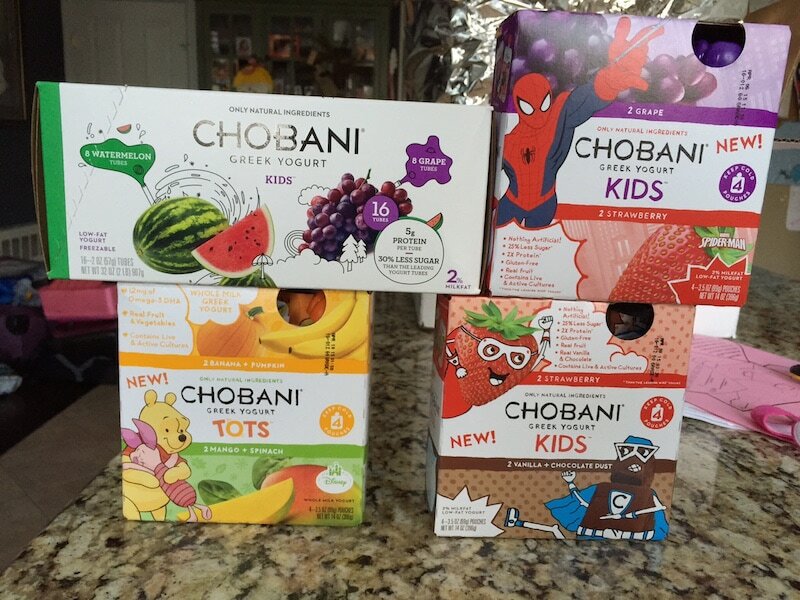 There are a variety of flavors and styles available from the new Chobani Greek Yogurt for Kids and Tots. Whether you are in the mood for grape, strawberry, mango + spinach, vanilla + chocolate dust or banana + pumpkin – they have you covered. These convenient to-go pouches make these the perfect school snacks! Pop these in lunch boxes or throw a few in your bag for when you hit the road. Remember, there’s no added or artificial colors or flavors with Chobani Greek Yogurt for Kids and Tots. And no preservatives, high- fructose corn syrup or modified cornstarch either! These yogurts are made with only natural ingredients. Right up my alley!